This price list is only an indication of our main services. We are also able to launder or dry clean many additional items. Back packs, bags, shoes, rugs etc. 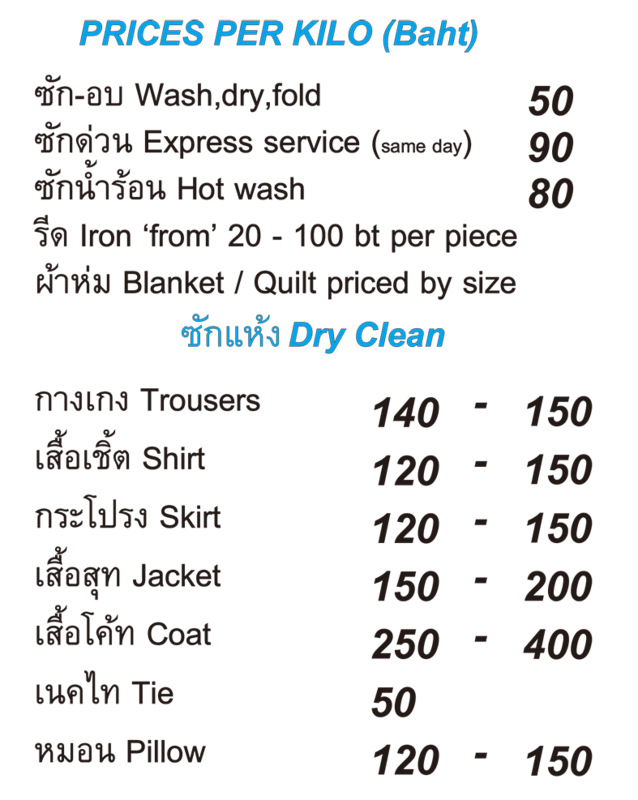 For more information on Em’s many services please go to chiangmailaundry.com We are also able to give specific quotes if you have particular garments or material items that you would like cleaned. Please don’t hesitate to call or email, we will be delighted to assist. Phone or email now.